Spectacular LARATTA build! This architectural delight offers subtle a mix of traditional & contemporary styles over 4478 sq.ft. of developed space. 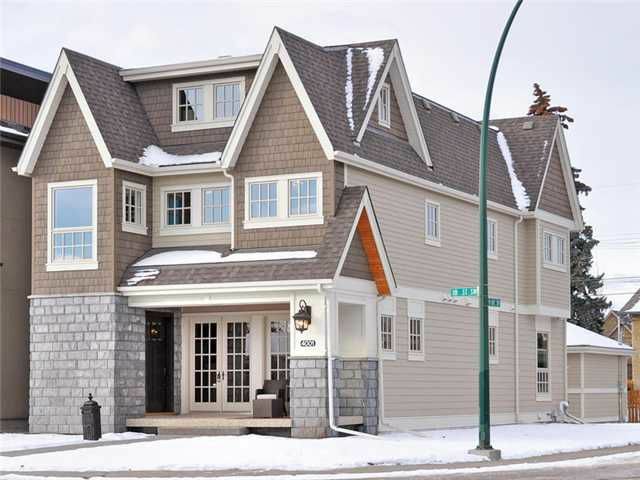 The elegant main floor is bright & open featuring 4 sets of French Doors off the living & dining areas, exquisite site finished 1/4 sawn oak hardwood floors, custom milled cabinetry, 9.5' flat ceilings, crown moulding & a cozy gas fireplace. The magnificent kitchen is centered around the grand island topped w/ stunning granite &includes tons of storage & top of the line appliances including Wolf, Bosch & Miele. The Master Retreat showcases hardwood floors, luxurious 5-pc en-suite with soaker tub & steam shower, lg. walk-in closet & laundry room access. Fully automated Smart Home has almost limitless capabilities to manage lights, music, security, etc. This home has it all, over 800 sq.ft. of 3rd flr lounge &home office space, plenty of storage, 7.1 basement theatre, 2 wet bars, gym/yoga room & 10yr New Home Warranty.